EP Equipment´s electric tow tractor QDD30-60 can tow up to six tons and can be fitted with a variety of different towing equipment to suit your individual trolley system needs. With its simple design and optimized usability, this truck will be certain to help improve efficiency in your workplace. With its 870mm solid rubber tires, the QDD series is ready for a variety of operations. 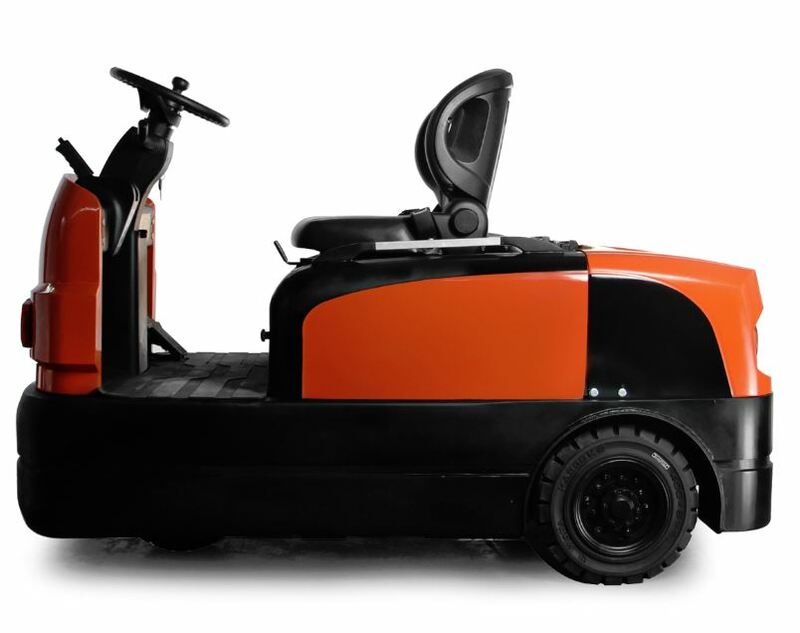 Whether you’re using the tow tractor on flat ground in the warehouse, or on uneven floors indoors or outside, this electric towing tractor will be able to operate with ease, safely towing loads of up to 6000Kg.